Meet the tie tank from Close to the Heart. 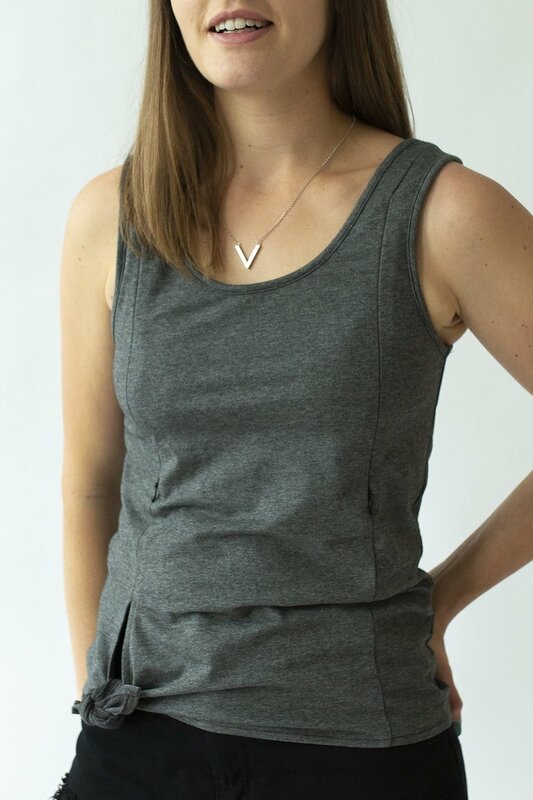 We designed this piece after our own struggles finding stylish breastfeeding tanks, and we are so excited to share this design with other women. The tie tank is relaxed and comfortable, with little details to give it an overall refined and stylish look. The tie tank can be worn shorter or longer to suit your own style - simply tie it where you'd like the hem to sit. We love it worn over high-waisted shorts, or it looks equally stylish over a pair of slouchy relaxed shorts. 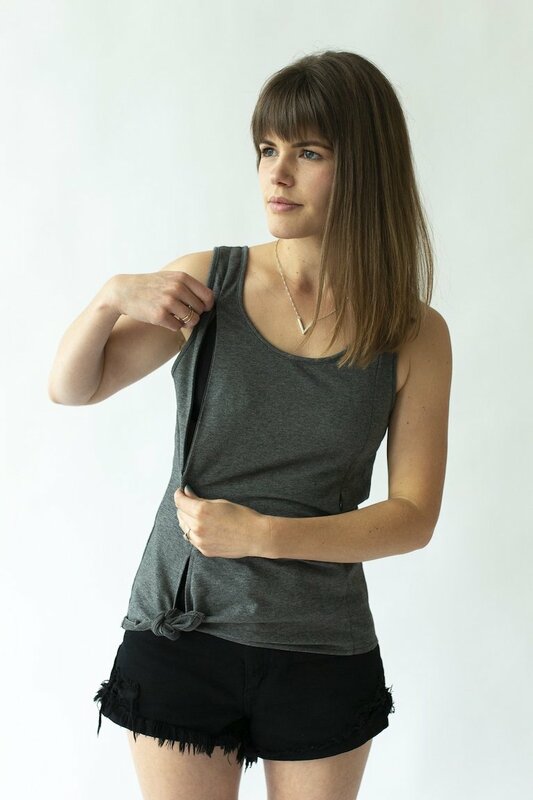 The tie tank features two invisible zips on either side, tucked discreetly into vertical seams, to make breastfeeding a breeze. Michele is wearing a size 8 and normally wears a size 8. 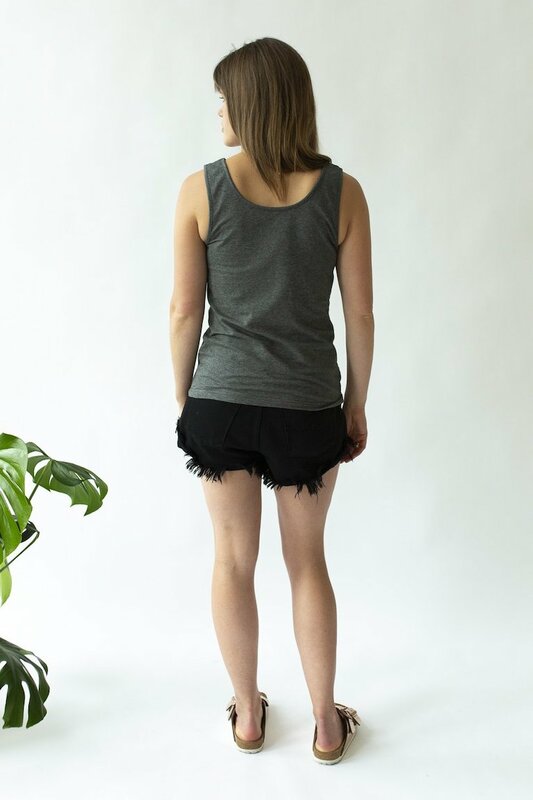 If you are buying this tank to wear during pregnancy we suggest you size up.